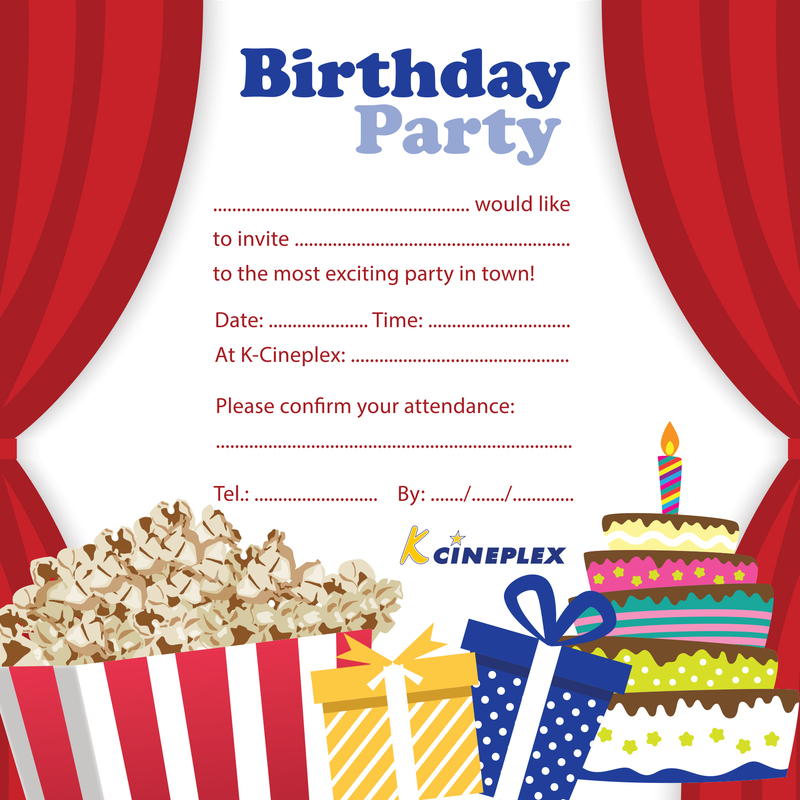 Bring your friends along and enjoy the magic of the movies on your special day. 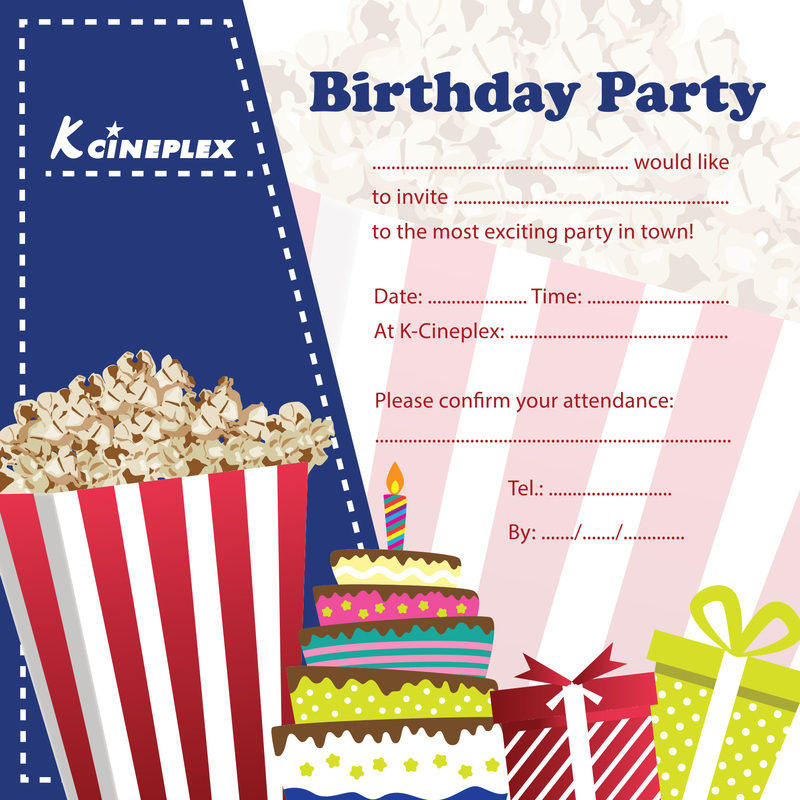 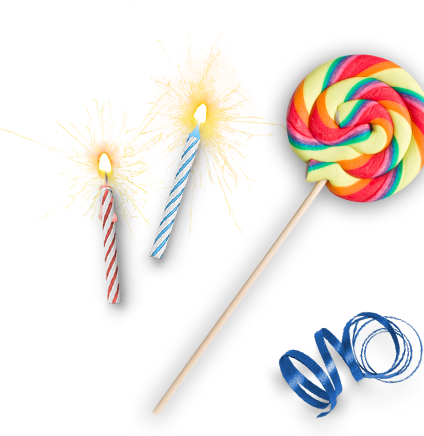 K Cineplex is the ideal venue to host your birthday party, you select the movie currently on circuit and we will take care of the rest. 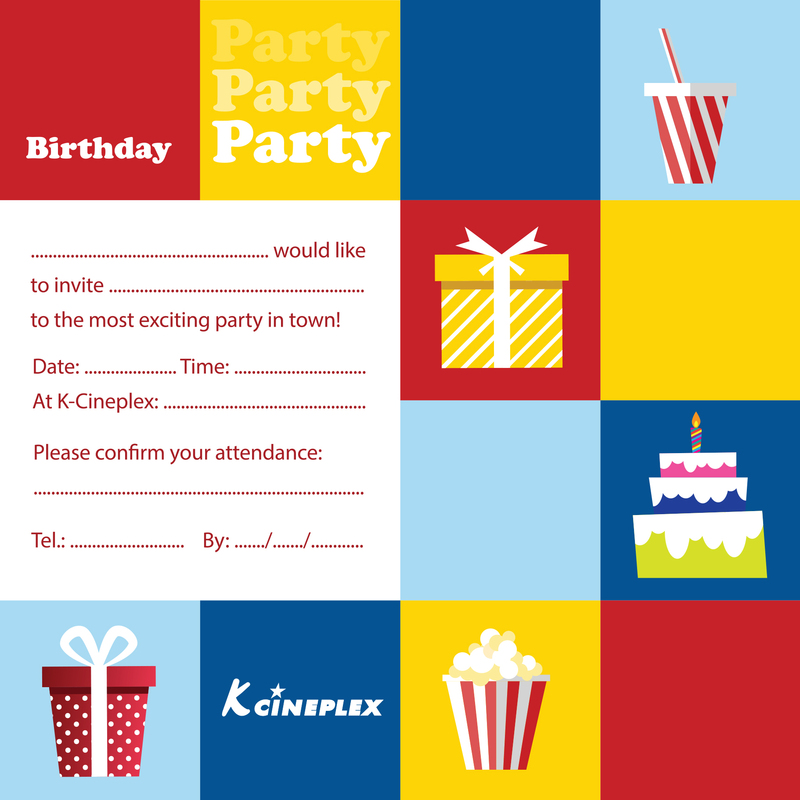 Various packages are available according to the venue selected. 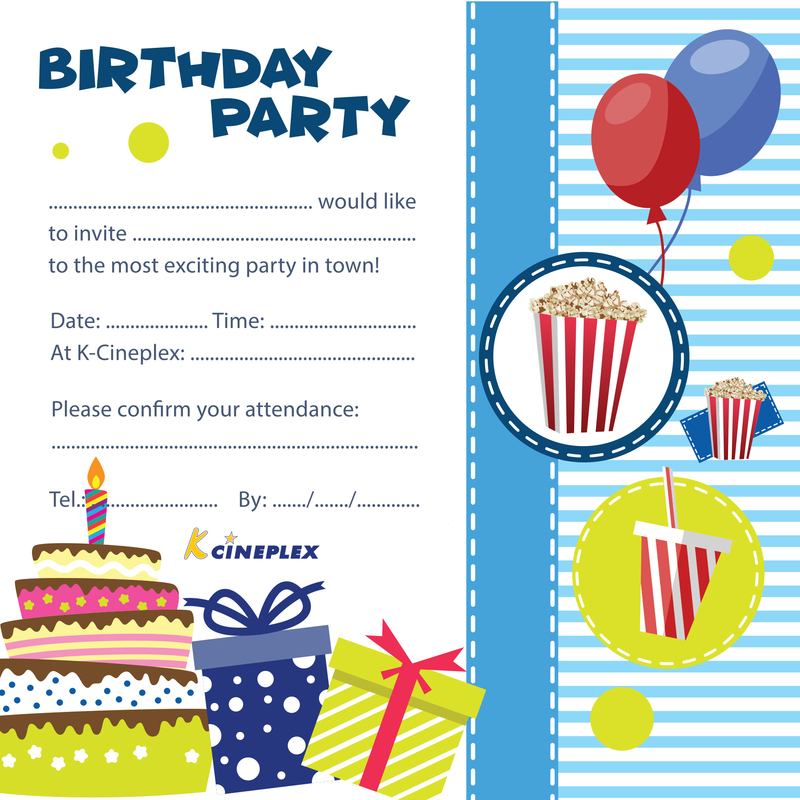 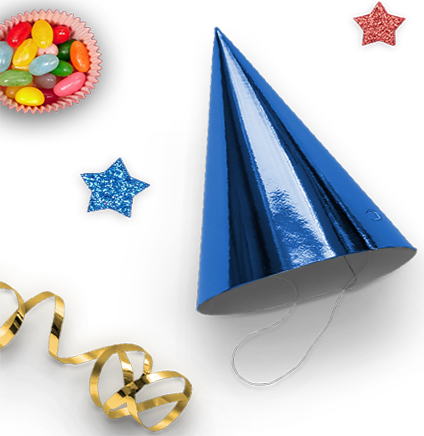 Celebrate your Birthday with the 'Stars'. 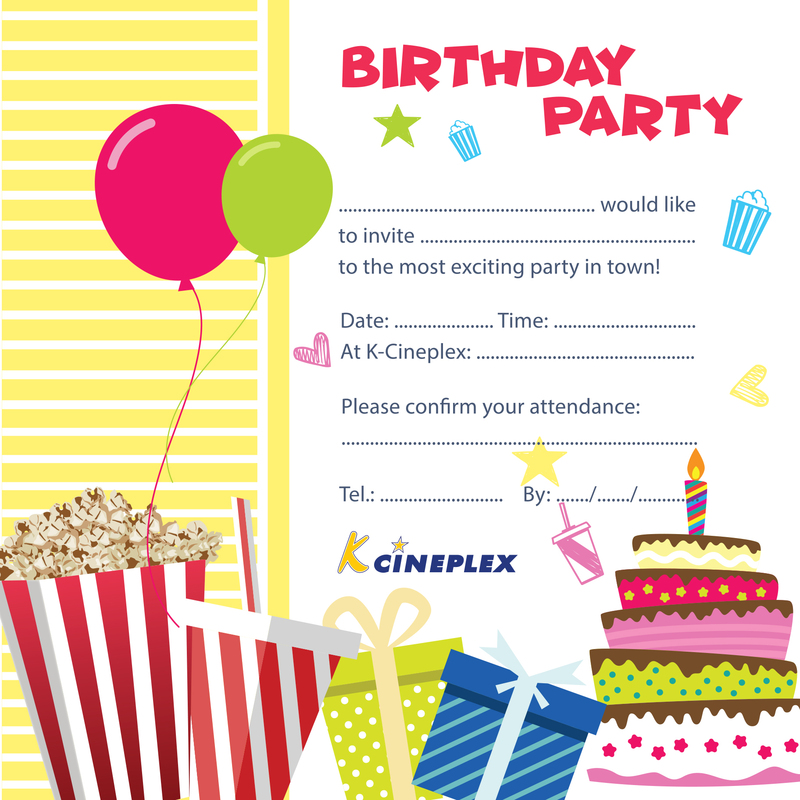 Celebrate the K Cineplex way! 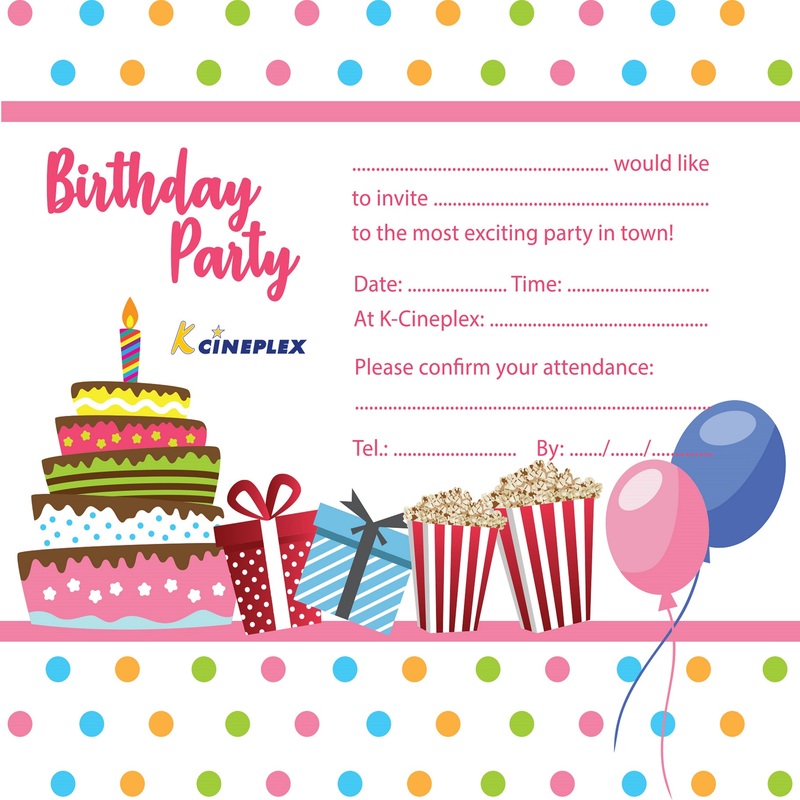 For more information or to reserve your birthday party call the K Cineplex Head Offices on: 24 819022 (Monday - Friday 8:30am - 17:00pm) or forward us your request via the booking form.